IPL 2019 is around the corner and over the years, this tournament has proved to be a massive platform for the young talented players from around the country to showcase their calibre on the big stage. We have seen many players who shone in the IPL and later went on to play for the national side. This list includes some big names like Ravichandran Ashwin, Ravindra Jadeja, Yuzvendra Chahal, Mohit Sharma etc. 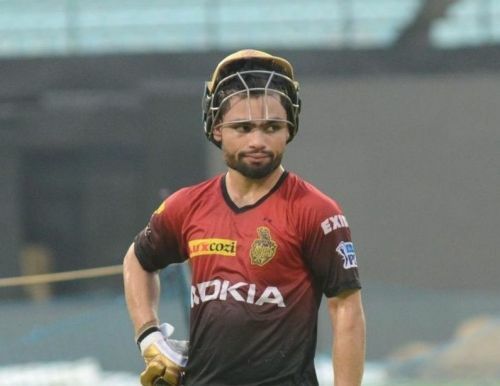 Rinku Singh played for Kolkata Knight Riders in the last season of IPL as well, but he was not given enough chances to showcase his talent. In the next few months he performed exceptionally well in the Ranji Trophy for Uttar Pradesh, amassing 953 runs in just 10 games at an average of over 100 and finishing as the third highest run-getter of that tournament. Rinku didn't just sparkle in the longer format of the game; he performed well at the Syed Mushtaq Ali Trophy too. He can score quick runs in the middle order of the innings and can bat around Andre Russell and Dinesh Karthik to help KKR finish off well and post a decent score on the board. Another exciting player to look forward to this season is the young fast bowling all-rounder from Mumbai. Dube came into the limelight just before the auctions as he smashed five sixes in an over off Pravin Tambe in a local Mumbai T20 tournament. As expected, he grabbed a massive amount at the auctions from Bangalore. Dube is not the kind of player who just hits the ball blindly; he did brilliantly during this year's Ranji Trophy as well, where he emerged as Mumbai's second highest run-getter. Dube can perform the role of a finisher for RCB, who have consistently failed to sew up that spot. He can also help his franchise by chipping in with a few overs in the middle. Varun Chakravarthy is one of the players who set this year's auctions on fire as he was sold for a whopping ₹8.4 crore. Suddenly, there was a buzz all around to know more about this player. Varun is a leg break bowler from Tamil Nadu who started all the way from playing the fourth-grade team and eventually reached the domestic side of Tamil Nadu. He had a terrific season at this year's Tamil Nadu Premier League where he bowled at an economy of less than five. He continued with his form in the Syed Mushtaq Ali Trophy as well where he emerged as the second highest wicket-taker. Varun will play a crucial role in accompanying Ravichandran Aswin and Mujeeb ur Rahman during the middle overs of the innings.